The former U.S. President Barack Obama and the current U.S. President Donald Trump have both been heavily involved in athletics; and are fans of sports in general. Their dueling personas have led to varying reactions throughout the sports world. Over the course of his eight years, Obama had a very unique relationship with athletes and sports; some would say that it is what helped him bridge political gaps and connect with so many people. He even took a trip to Cuba in March and sat with Cuban president Raúl Castro for an exhibition game between the Tampa Bay Rays and the Cuban National team. The two countries had restored diplomatic relations in July 2015. During his last White House Ceremony speech, he only spent three minutes on sports, but those three minutes were powerful. “Sports have changed attitudes and culture in ways that seem subtle but that ultimately made us think differently about ourselves and who we were,” said Obama with the ceremony’s honorees, the World Series Champion Chicago Cubs, standing behind him. Samuel also encouraged these athletes “and those activist minds” to “stay vocal about issues of social justice now” with President Trump running the show. Carmelo Anthony of the New York Knicks, former San Francisco 49ers’ QB Colin Kaepernick and members of the WNBA’s Minnesota Lynx are just a few examples of players who have spoken out against injustice, like police brutality and Trump’s election, and formed relationships with Obama. When NBA star LeBron James, a long-time friend and supporter of Obama’s, wore a “I Can’t Breathe” shirt to honor the memory of Eric Garner, the unarmed African American man who died after a white police officer put him in an illegal chokehold in New York City, Obama stood behind him in full support. “I think LeBron did the right thing. We forget the role that Muhammad Ali, Arthur Ashe and Bill Russell played in raising consciousness,” Obama told People magazine. Retired athletes, such as former NBA player Jalen Rose, have already voiced their opinions on Trump in the months leading up to his inauguration. “Mark my words, there will be players that decline the opportunity to visit the White House under his presidency,” said Rose on ESPN’s “NBA Countdown.” Trump’s name is currently on 17 golf properties around the world, but since the election, various professional golf tournaments have chosen not to support Trump’s courses. Some athletes, including Adrian Gonzalez of the Los Angeles Dodgers, have even decided to boycott the business mogul’s hotels. Despite the backlash, Trump has several relationships with professional athletes that he can claim like five-time Super Bowl Champion Tom Brady, professional golfer John Daly and former NFL head coach Mike Ditka. As far as their actual athletic prowess, the politicians both make strong cases on who would win. In 2013, USA Today’s For The Win ranked Barack Obama eighth on the list of top 10 most athletic Presidents of all time. In 1979, Obama played guard for Hawaii’s Punahou High School and led them to a state championship. Prior to earning his bachleor’s degree at Columbia, Obama spent two years at Occidental College in Los Angeles and played for a short while on their basketball team. Aside from his notorious White House basketball court exploits, Obama enjoys mixing it up on the golf course. In 2014, NBA legend Michael Jordan took some friendly jabs at Obama’s golf game. Trump, on the other hand, was a first baseman for the New York Military Academy’s baseball team in the early 1960s and also competed in basketball, football, soccer, bowling and wrestling. In October 2015, Business Insider did a profile of Trump’s career at the academy and Ted Levine, a former classmate who played baseball with Trump, said Trump could have had a professional career. Trump’s apparent mental gifts would serve him well later on in his life as he continued to accumulate wealth through various business ventures, including owning a professional football team in the USFL (United States Football League), hosting boxing matches in Atlantic City, New Jersey at Trump Plaza and hosting cycling and powerboat races. Some of these ventures, however, would go on to ultimately fail. In 2013, Trump was inducted into the WWE (World Wrestling Entertainment) Hall of Fame for his support and donations to professional wrestling, which some still debate the validity of as an “actual sport”. Similarly to Trump, Obama expressed to The Washington Post in June 2016 that he is interested in being a part-owner of an NBA team, further living up to his reputation as the “Sports President”. “I have fantasized about being able to put together a team and how much fun that would be. I think it’d be terrific,” said Obama to sports personality Bill Simmons in a November 2015 GQ interview. The jury is still out, however, on whether he should seek ownership advice from Trump. From Obama filling-out and publicly sharing his NCAA men’s and women’s basketball tournament brackets to Trump once serving as a financial advisor for boxing legend Mike Tyson, there is no shortage of ways both men have left their mark on the sports world. 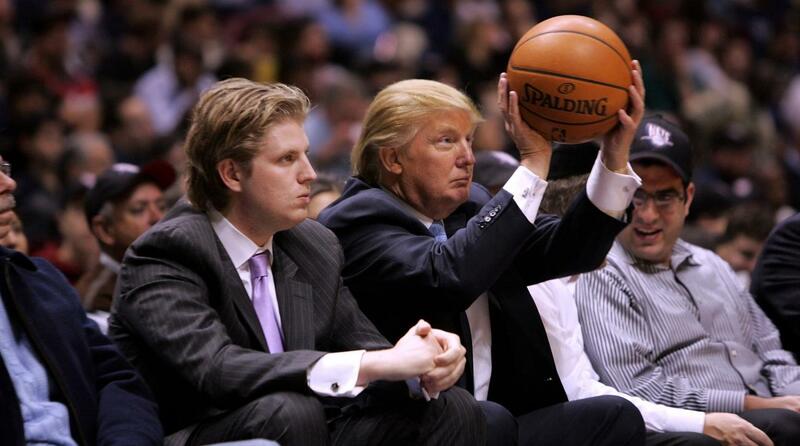 There is no doubt that both of these men have made an effort in expressing their love for sports and finding its connection with the American people. It will be interesting to see in the wake of this major transition, though, if the growing trend of professional athletes defying President Trumpwill continue and lead to an uprising we have not seen in 50-plus years.